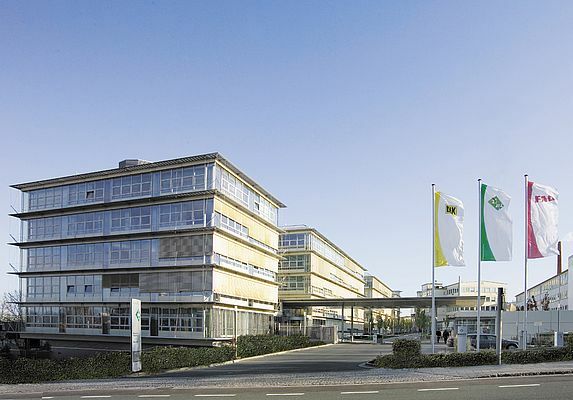 IFT Ingenieurgesellschaft Triebwerkstechnik mbH will become a 100% subsidiary of Schaeffler AG on July 1, 2013 with a view to integrate the company into Schaeffler Engineering GmbH at a later date. The parent company's plans involve initially increasing its share in IFT from 49 to 100 percent. The relevant contract was signed on March 19, 2013. "It was my priority to secure the continued existence of the company and above all the 69 jobs we have here in Clausthal-Zellerfeld", says Christian Degenhardt his decision. "In Schaeffler, I found the right partner at the right time to make sure this was the case and to continue IFT's success story". Schaeffler has been co-owner of the IFT since 2001 and the engineering service provider generated sales of 9 million euros in 2012. "The expertise and experience of IFT's employees, for example in chain and valve trains, are a real benefit for Schaeffler. The business model of IFT will remain unchanged as a 100% subsidiary, which means Christian Degenhardt and his team will continue to operate independently on the market and even increase collaboration with external customers in addition to working on company projects", Prof. Peter Gutzmer explains the company's plans for the new subsidiary. He emphasized that the acquisition of the shares by Schaeffler will not have any effect on personnel and Christian Degenhardt will remain managing director of IFT. The company's location in Clausthal-Zellerfeld, where the company operates several engine and component test stands in its development center, will also remain in operation. The parent company is planning to integrate IFT's employees and its range of services in its development service provider Schaeffler Engineering. "The expertise at Schaeffler Engineering in mechatronics and IFT's knowledge of mechanical systems in engines compliment one another perfectly", says Rolf Laufs, CEO of Schaeffler Engineering. "This enables us to open up additional business fields together and thus to further improve the positioning of our services and products on the market. Our companies also have a similar mentality, which means we're already looking forward to working together on joint projects and are looking forward to working more closely with each other".